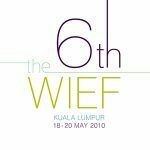 The 6th WIEF, bearing the theme “Gearing for Economic Resurgence” was a timely Forum that addressed the prevailing mood of the global business community for change and progress after the financial crisis. 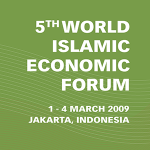 The sessions showcased the Muslim World’s key industries and topics were discussed by main business players and industry experts, giving delegates an invaluable in-depth understanding of the issues and solutions facing businesses in this part of the world. 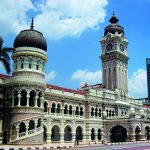 Kuala Lumpur once again played host to this prestigious event, which was attended by seven Heads of State & Government, 120 distinguished speakers, and a record 2567 delegates from 67 countries. 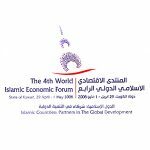 Islamic Branding: Myth or Reality? 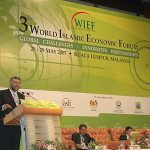 The 6th World Islamic Economic Forum (WIEF), themed “Gearing for Economic Resurgence”, successfully concluded in Kuala Lumpur on 20 May 2010. The Forum was declared open by the Hon. 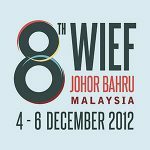 Dato’ Sri Mohd Najib Bin Tun Abdul Razak, Prime Minister of Malaysia and Patron of the WIEF Foundation, and attracted 2567 delegates from 67 countries. 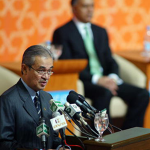 special addresses were delivered by Heads of state and Government from Brunei Darussalam, Senegal, Indonesia, Kosovo, the Maldives and Bangladesh and moderated by the Prime Minister of Malaysia. other important presentations were made by members of royal families, former Heads of Government, the secretary General of Asean, the President of the Islamic Development Bank, ministers, chief executives of leading corporations and other thought leaders from the public and private sectors. 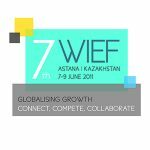 WIEF’s commitment to diversity and inclusivity was evidenced by a Businesswomen and Young Leaders Pre-Forum opened by the Hon. ?Tan Sri Muhyiddin Mohd Yassin, Deputy Prime Minister of Malaysia. The WIEF Businesswomen Network (WBN) continues its focus on enhancing business and entrepreneurship skills through its training workshops and is launching an innovative, new, on-line, businesswomen exchange program – We-Biznet. 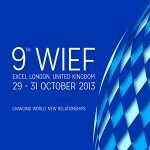 The WIEF Young Leaders network (WYN) announced successes in placing deserving Muslim students in corporate internship programs and the awarding of academic scholarships. This year’s main Forum was held against the backdrop of a world emerging from a financial crisis which has affected all nations. In this challenging environment nine countries took advantage of the Forum to showcase trade and investment opportunities in their respective countries. 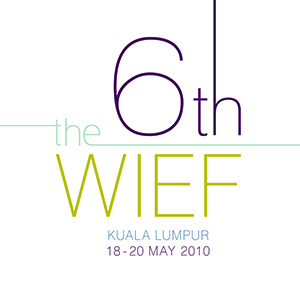 The WIEF ‘Business Matchmaking Lounge’ also continued to enable investors and entrepreneurs to meet informally and during the Forum the leaders witnessed the signing of five commercial agreements in the trade, banking and iT sectors. in addition, recognising the importance of creativity and innovation, for the first time the Forum included a unique creative arts program entitled ‘The Marketplace of Creative Arts’. Economic Summit: The financial crisis has created opportunities for?new ideas, new economic models and even new values. 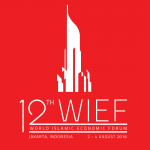 The WIEF will explore with Muslim leaders a plan to hold an economic summit which will focus on practical ways in which Muslim countries can enhance their own economic growth and development as well as exploring how Islamic banking and finance can contribute to a more sustainable international financial system. 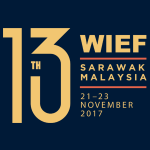 Clean Energy Development Bank: Recognising the threat of climate change to all nations and the business opportunities in clean energy- related industries, the WIEF will evaluate specific actions to advance this important proposal. 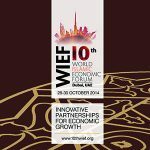 Social Entrepreneurship Foundation: The WIEF will evaluate models of private sector-led social entrepreneurship, focusing on the special funding needs of SMEs and other enterprises throughout the Muslim countries. Creativity And Innovation Incubation Centres: Reform of education, training and skills development systems is essential to national innovation and growth. 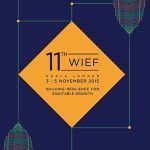 The WIEF will liaise with academic leaders and institutions to craft a pilot plan for an ‘Incubation’ Centre. Youth Corps: The WIEF will initiate a ‘pilot’ test of this proposal to develop practical plans to harness the vibrancy of youth and prepare them for leadership roles in future.